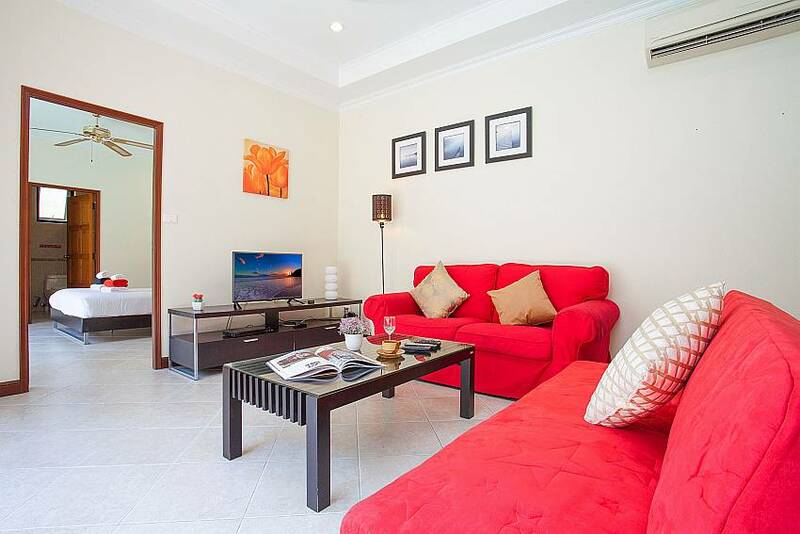 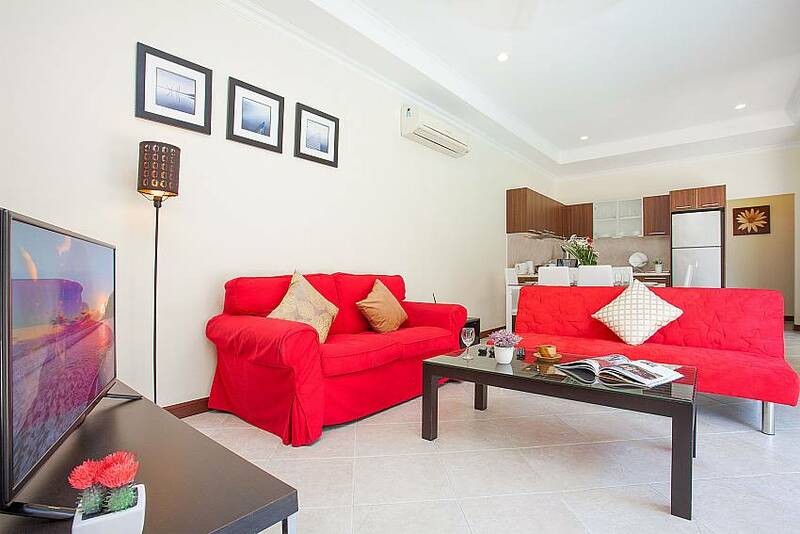 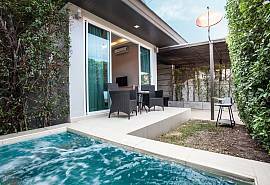 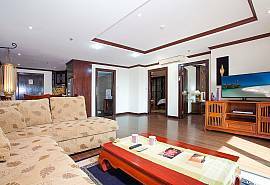 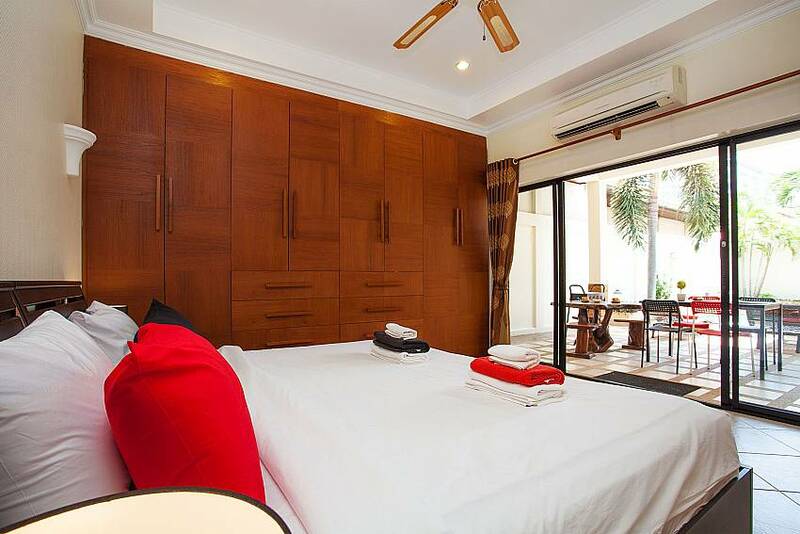 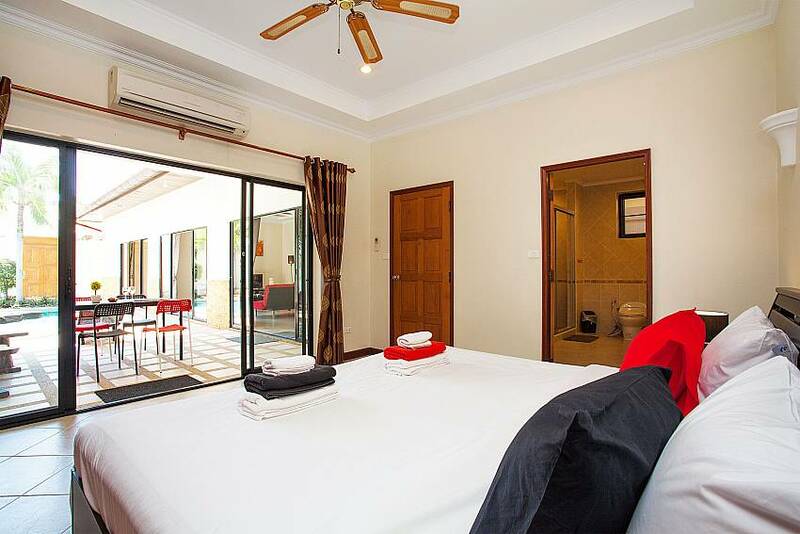 When you seek a convenient yet private Pattaya holiday, this 2-bedroom villa on Pratumnak Hill is the perfect choice. 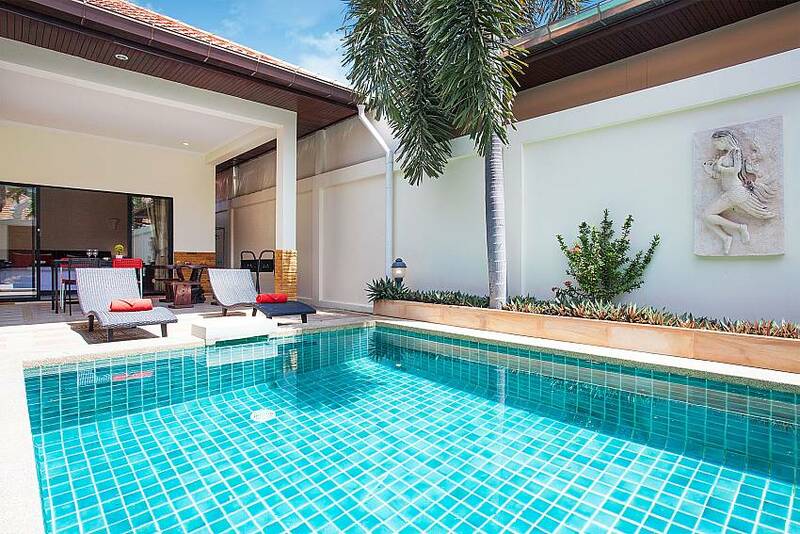 Centrally located between Pattaya and Jomtien, and just 700 meters from the beach, this villa sits in a gated estate and comes with its own private swimming pool. 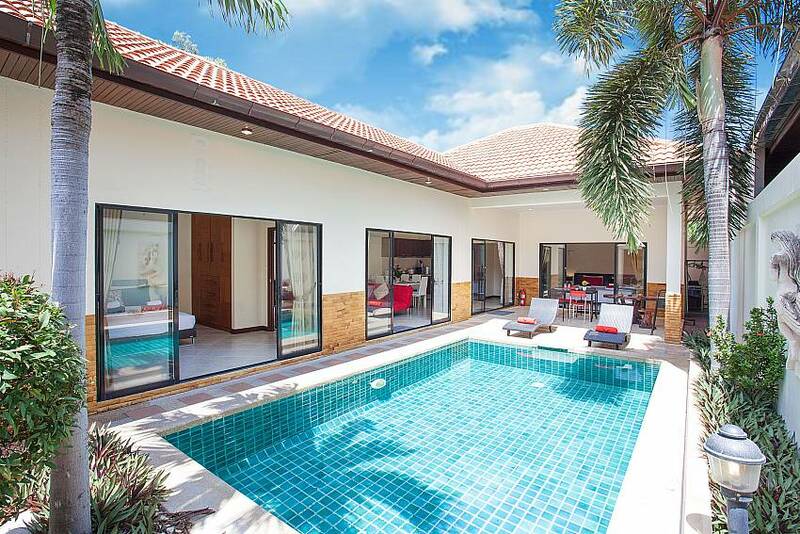 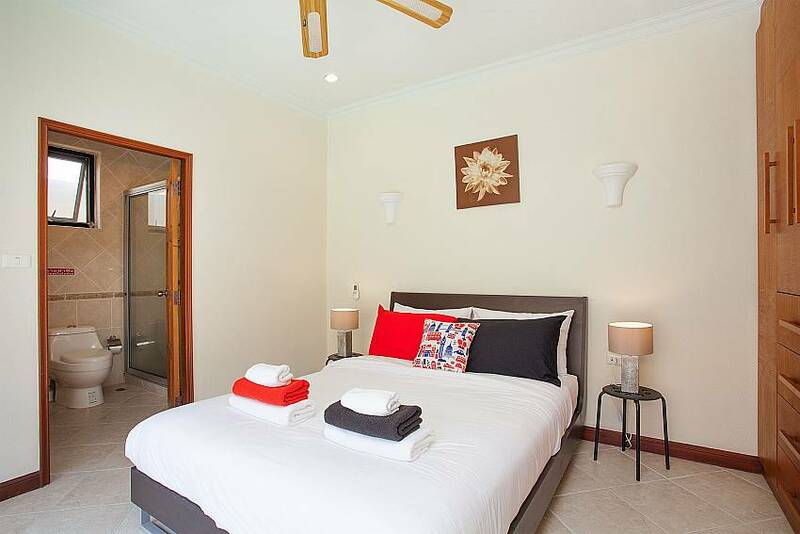 Located in the heart of a gated estate with 24-hour security and an onsite clubhouse, all just 700 meters from the beach at Pratumnak Hill, you won’t find a more centrally located Pattaya holiday villa. 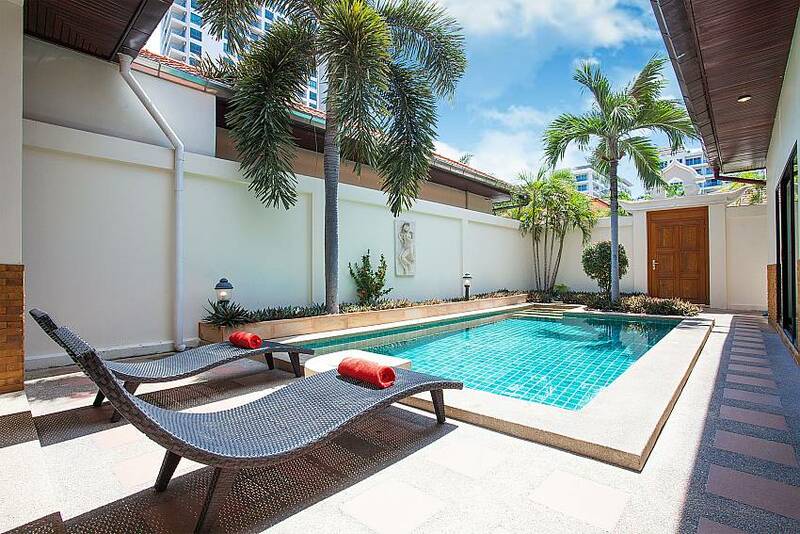 With a cool courtyard design that merges modernity with Asian flair, and a location directly between Pattaya and Jomtien, this is as good as it gets in terms of convenience. 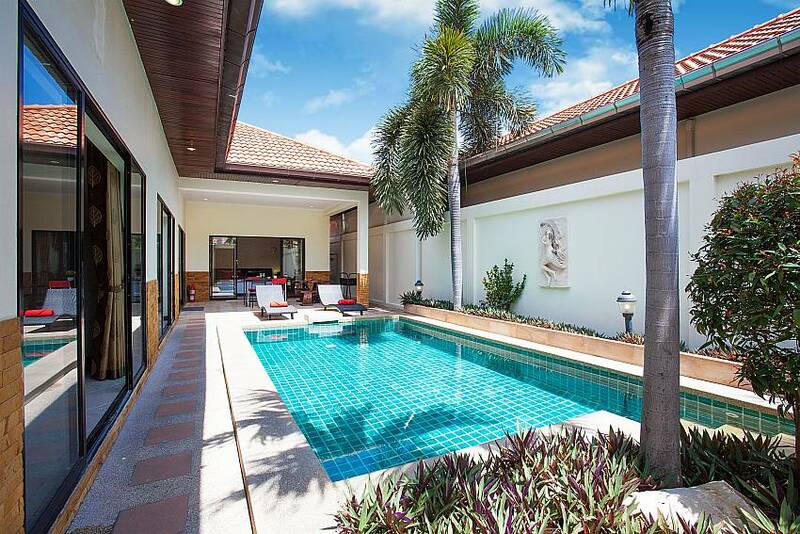 The courtyard style design really does create lots of shade, which is evident on the back garden where you will find the private swimming pool that is flanked by a terrace and can be also accessed from every part of the house. 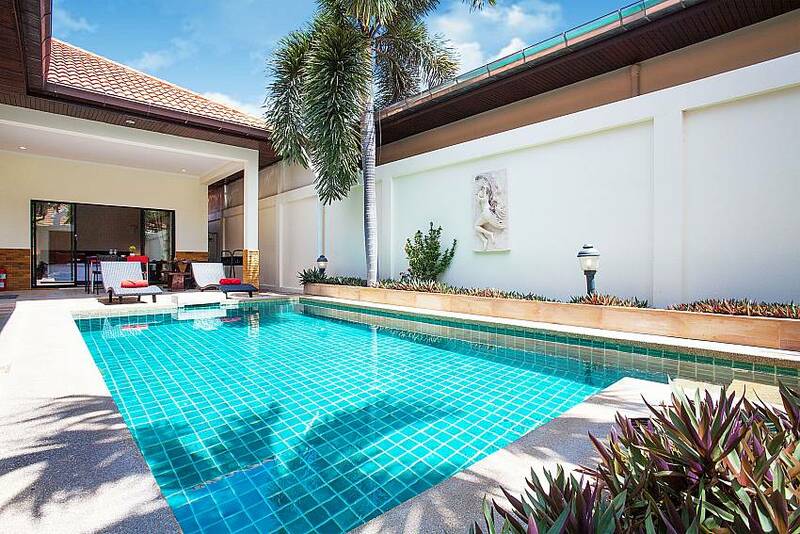 The terrace also comes with 2 sun-loungers and a table and chairs, perfect for relaxing or al fresco dining. 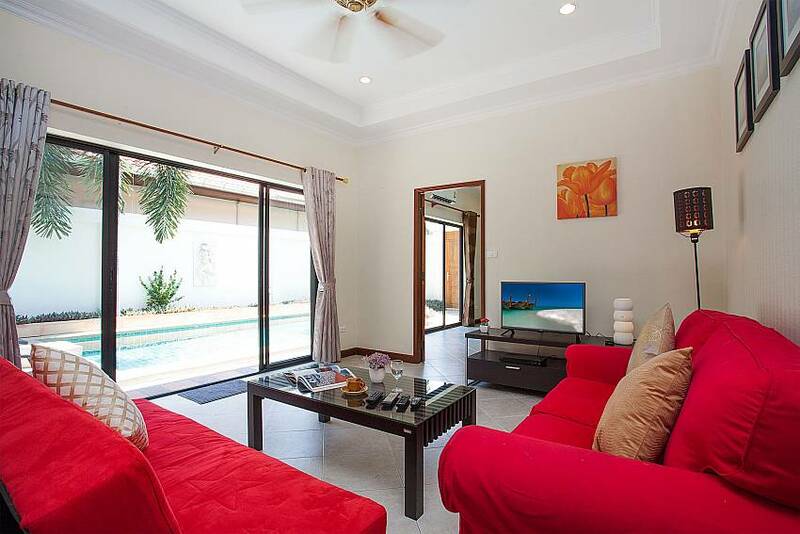 Making your way into the open plan living area, you will encounter a lounge that has an L-shape leather sofa and a flat-screen TV with a choice of Western channels. 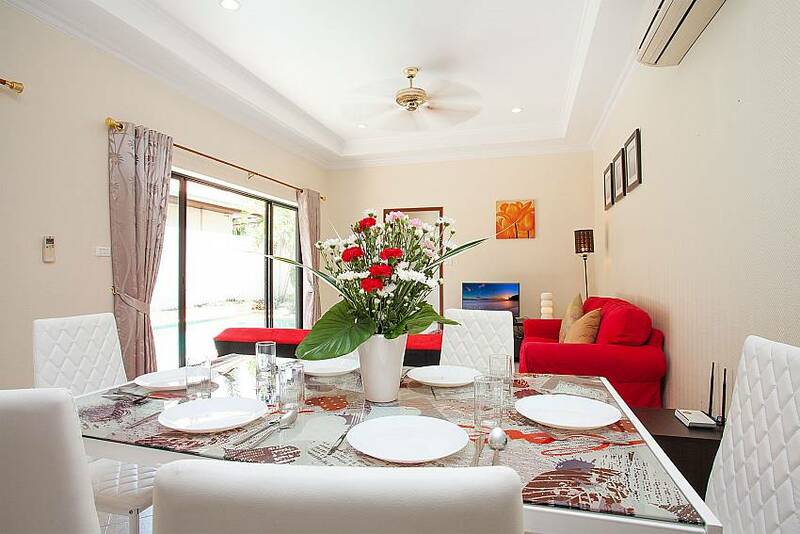 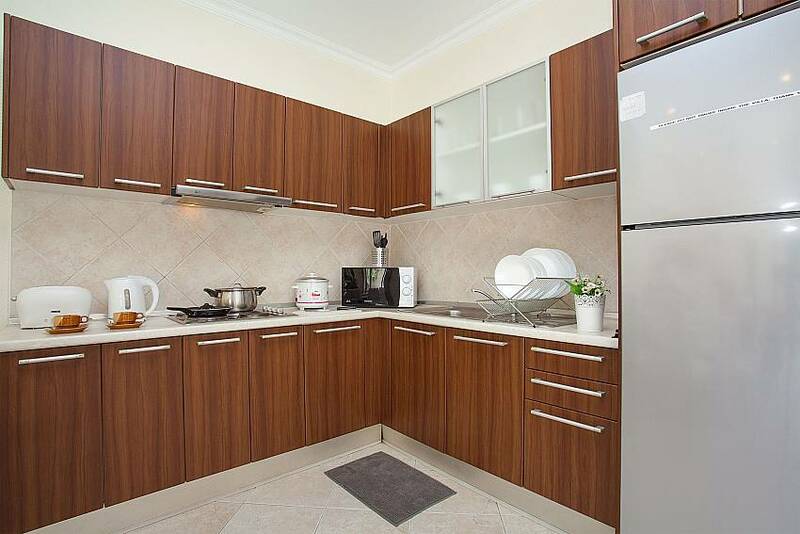 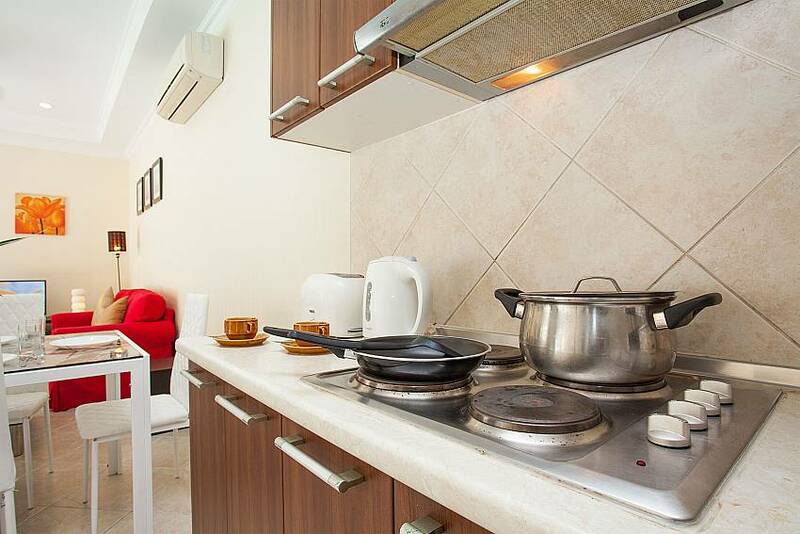 Next to the lounge, there is a dining area with a 4-seat table and a Western kitchen with a plethora of modern appliances, perfect for self-catering. 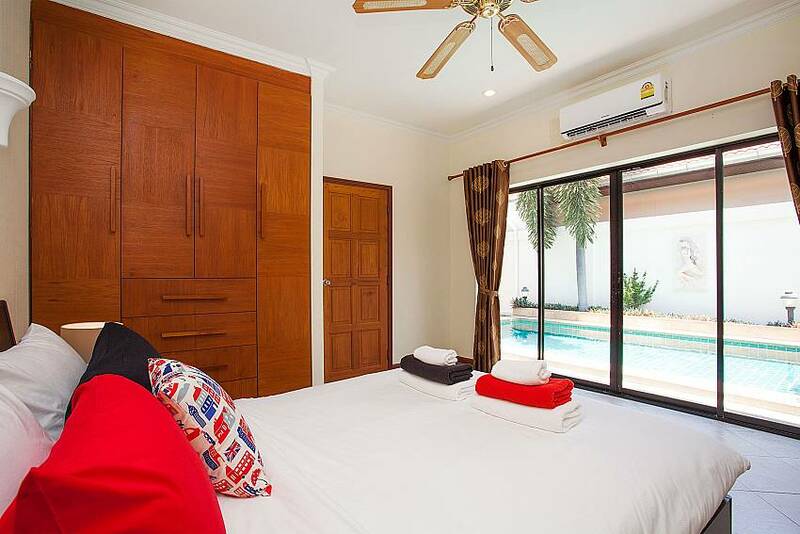 The 2 air-con bedrooms with double beds sleep up to 4 people, which is ideal for a small group or family. 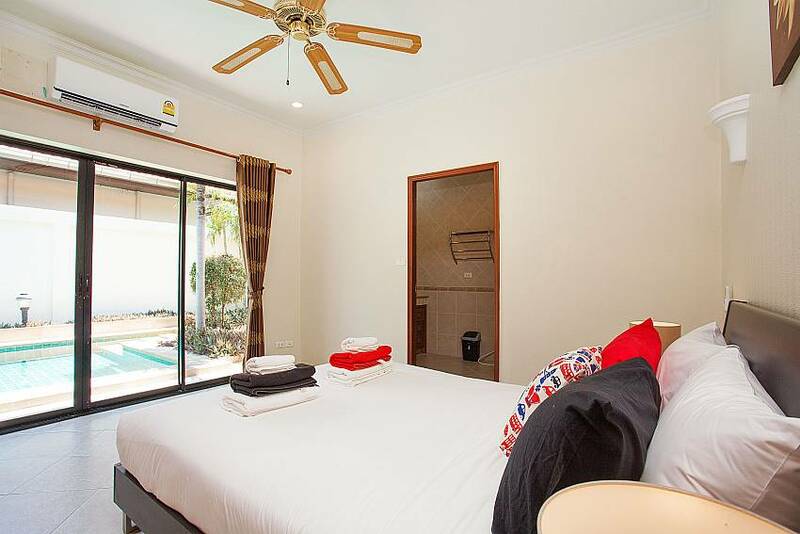 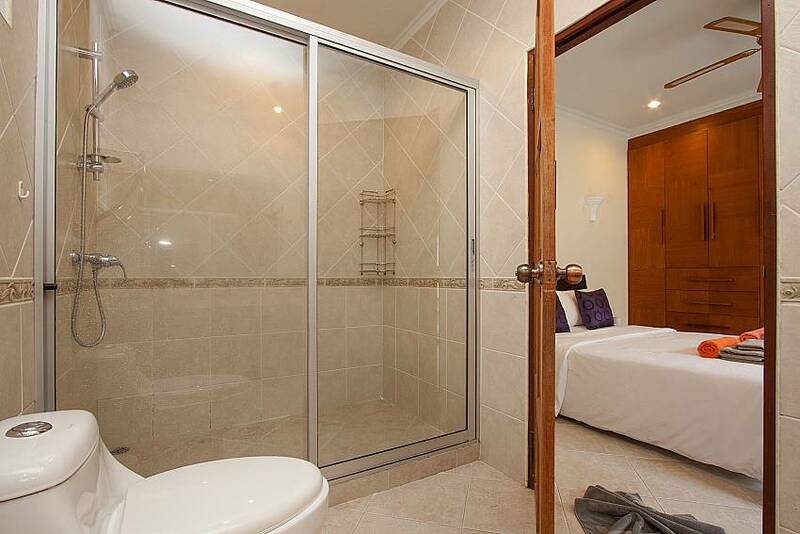 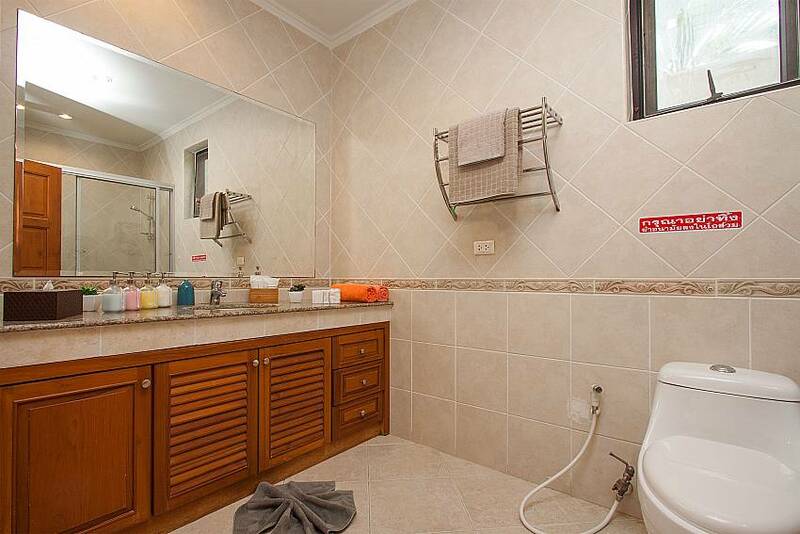 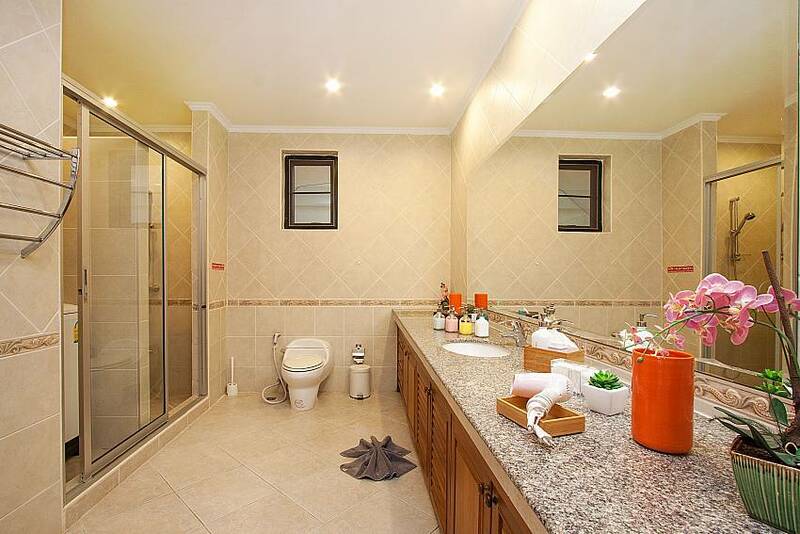 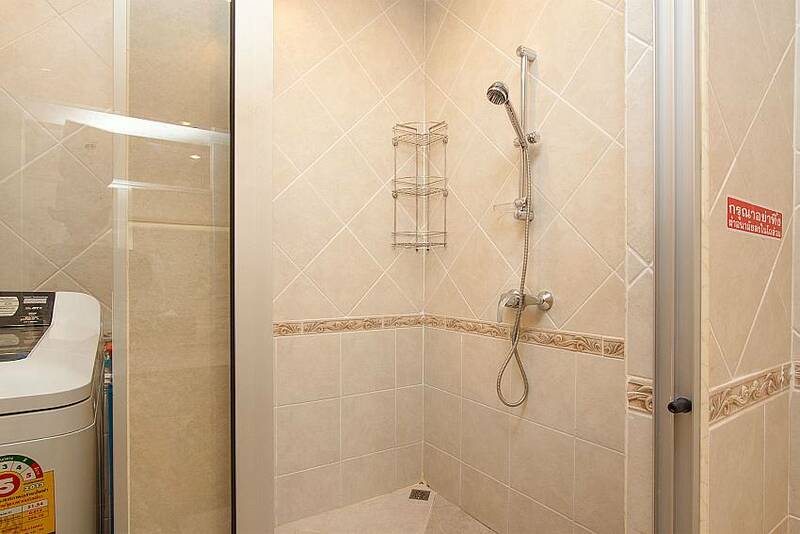 Both have access to ensuite bathrooms and direct views and access out to the pool. 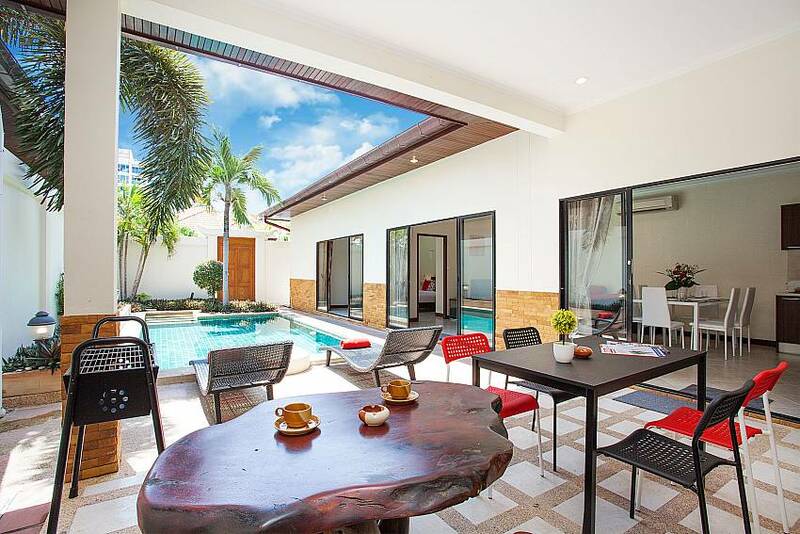 When you want a convenient holiday stay near to the beach, bars and restaurants while retaining privacy and seclusion, this is the villa for you. 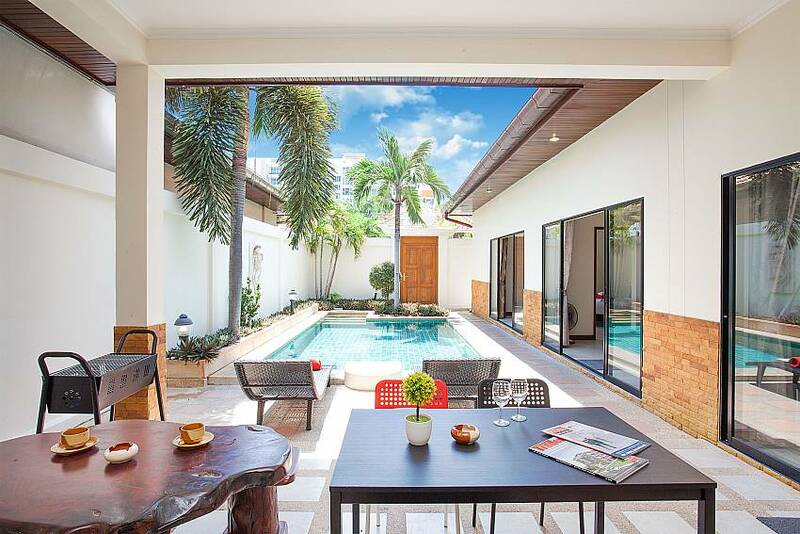 Just 700 meters from the beach on Pratumnak Hill, a similar distance to an array of international eateries and bars and just a 5-minute drive to Walking Street, this villa is located in a peaceful gated estate but is close to all the action. 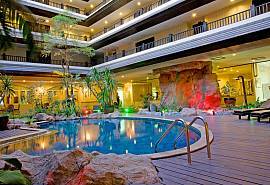 Popular nearby Pattaya attractions include the Big Buddha Hill at the peak of Pratumnak and Pattaya Park at the bottom of the hill. 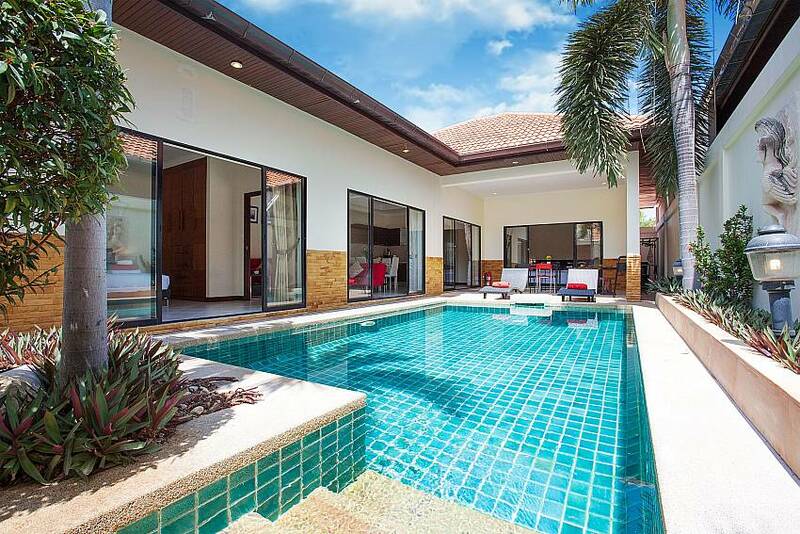 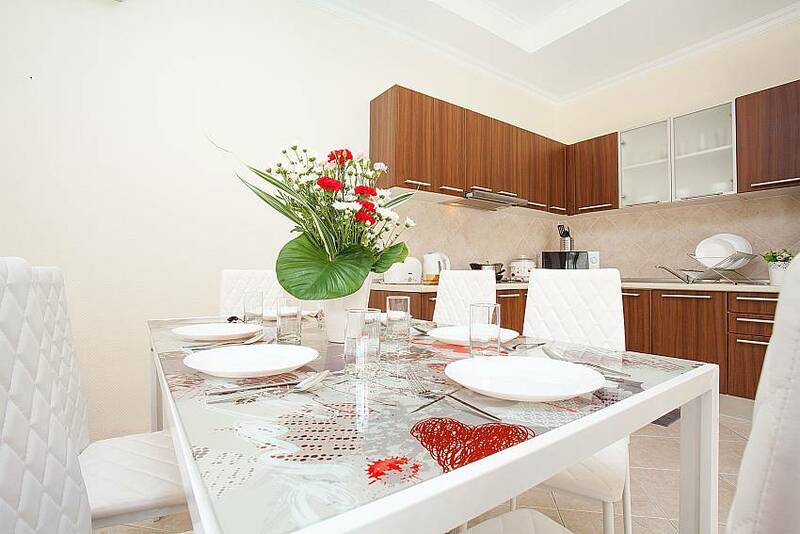 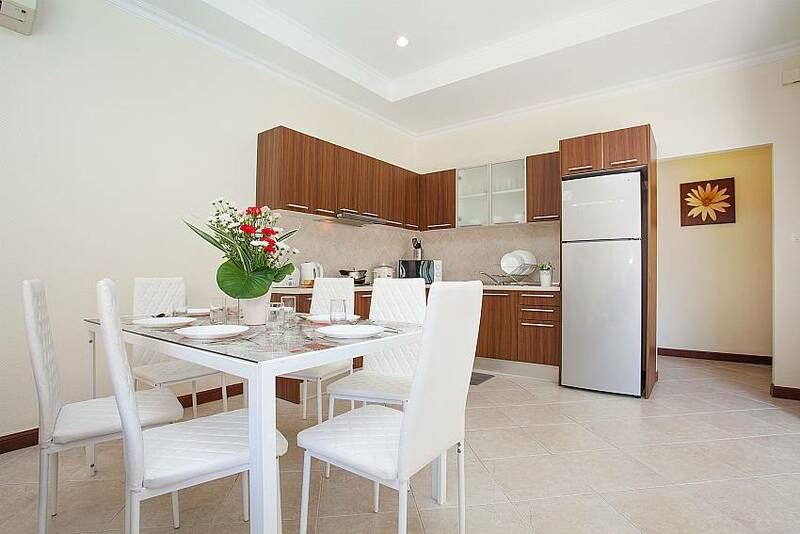 Click here to see a world-class choice of villa rentals in Pattaya.